Hey Friends, coming to you after a marathon recording day with the kids from the Bishops School. We piled a bunch of them into the various rooms at SpragueLand and documented their sonic moves. They played some classic jazz and some funk and my favorite moment was their version of Tower of Power’s “Diggin’ on James Brown.” Killin’! 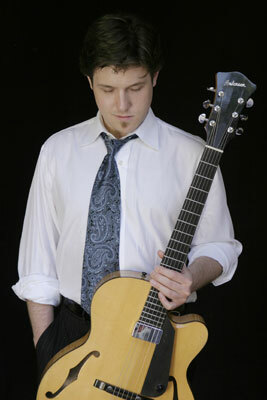 For this week I’m heading to the Birch North Park Theatre on Wednesday night to hear guitarist Graham Dechter and his Quartet. Graham hails from L.A. and is a fantastic musician and has great band with him consisting of Tamir Hendelman on piano, John Clayton on bass and Jeff Hamilton on bass. Follow this link for more info on the concert and I can’t wait to hear them live. On Thursday eve I’ll be holding court at the Roxy in Encinitas playing solo guitar. It’s one of my favorite moments of the week. Hope to see you there. On Saturday evening pianist Geoffrey Keezer and I are playing a duo hit at Zagrodnik & Thomas Green Scene Gallery in San Diego. Geoffrey lives here in San Diego but mostly tours around the world. It’s always a cool moment when he surfaces locally and lays it out on the line. Can’t wait and look below for the details. Geoffrey Keezer warping time by pushing down the keys at just the right time. I’ve done a little tweekage on my website lately and if you go to my VIDEO page you’ll see I’ve added some vintage clips from an old Club Date concert I did back in the ‘90’s with Tripp, Bob Magnusson and Duncan. Also I’ve added a couple of clips from a concert I played with Dianne Reeves in Germany. We were on a month long tour, did the soundcheck, ate Indian food and then played the show. Luckily they had a film crew at this concert and then put it out into the digital planet. I’ve also made it easier for folks to get an idea of what the songs sound like from each of my CD’s by adding an mp3 player at the top of each album page. 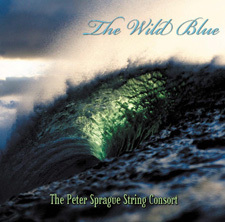 Check out the Wild Blue, PS Plays Solo, Taking it All In, Free Floating SpragueSongs and Pass The Drum. The other ones are coming just as soon as I can teach my daughter Kylie how to tweek the code. I’m stoked she’s into earning some money these days. She’s looking to buy a car. How’s that for growing up! That’s the word for this week folks. Thanks for reading and I hope to see you out there. 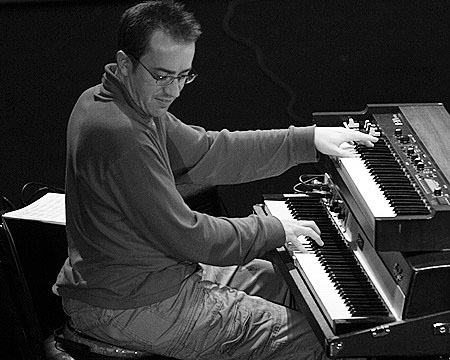 7 PM Teaming up with keyboardist Geoffrey Keezer for a concert at an art gallery in San Diego.